Margaret River (Margs as the locals call it) in South West Australia is known for its wineries and turquoise beaches, yet it’s also popular for its natural wonders. Beyond its renowned surf coast, you’ll find endless walking tracks through Australia’s South West forests and hundreds of caves in the area (over 300 in fact). 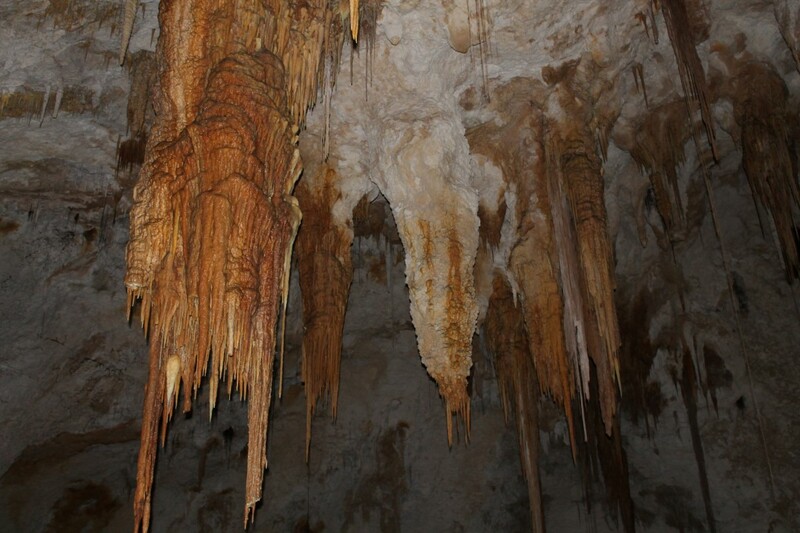 The caves in Margaret River are all located in the Leeuwin-Naturaliste National Park with 6 open to the public. 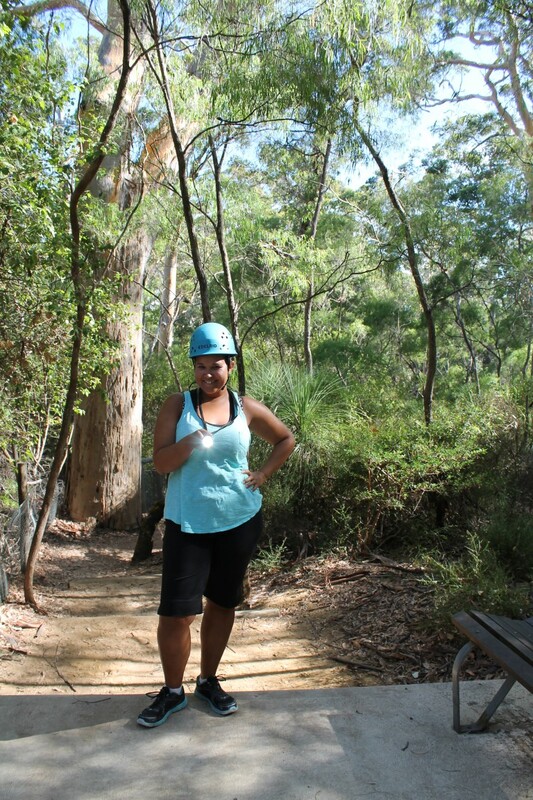 Spelunking in Giant’s Cave was my first time caving in Australia. I couldn’t have picked a better place to do it. Exploring the unlit Giants Cave with a group of Canadian teachers who are in Australia on a teacher exchange was the perfect recipe for my vagabond heart. After traveling for two months straight in Australia, it was nice to get a little home while away. Traveling for 9 months (on and off) pretty much full time often leaves me missing home. I haven’t been home since January so it was nice to reunite with a friend from home, while meeting other Canadians who are also on their own Australian journey. Our tour was guided by a local Australian who has also experienced traveling abroad on a teaching exchange. 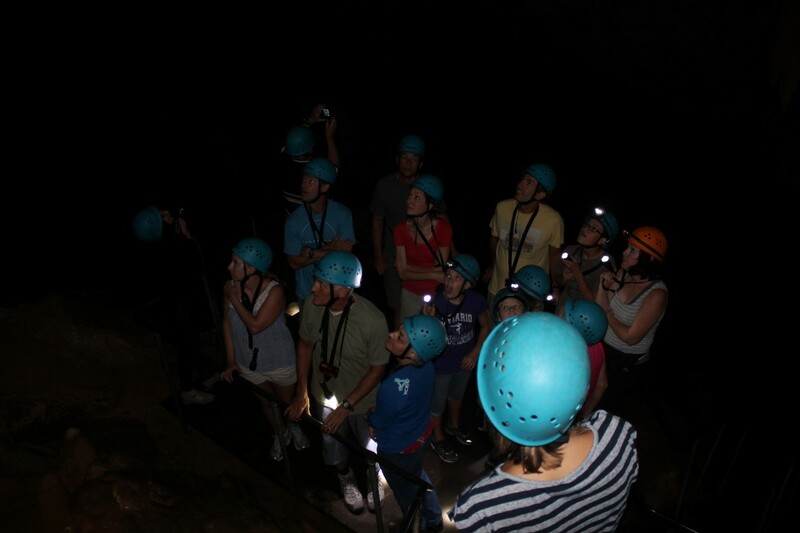 With our helmets on and our torches in hand we entered Giants Cave as a group of giddy Canadian teachers excited to explore one of Margaret Rivers largest and deepest caves. 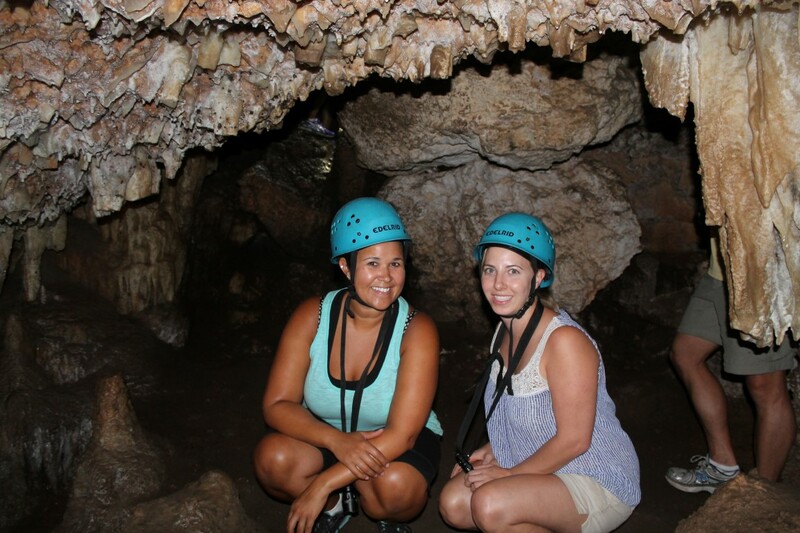 Like our own school children, we laughed, giggled, and sometimes squealed throughout our adventurous experience. At times, we were required to climb up latters, shimmy through tunnels, squeeze through tight spaces, and crawl our way through the dark cool cave. At one point, I wasn’t even sure I would fit through the small space I saw ahead of me in the distance as I neared the small dark space. With 100% humidity, the perspiration beaded on our foreheads as we trekked through the unknown territory. 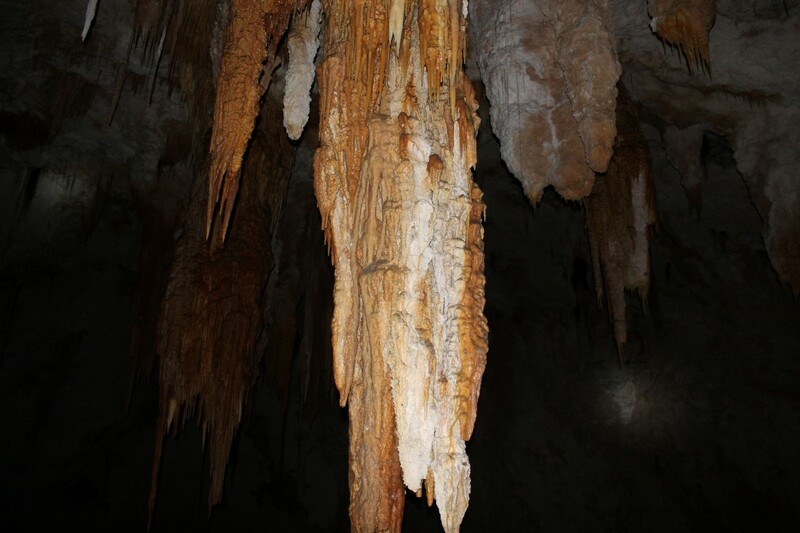 The gigantic dark rooms left us speechless and enamoured as we gazed around at the beautifully formed stalactites, stalagmites, straws, and shawls. After venturing down 86 metres in the cave, we were awed by the sheer size of the cave and the creation of this masterpiece (86 metres deep & 575 meters long ). How amazing is this? I said aloud. I’ve been caving before, but not in one so large and deep. Again, Australia left me speechless. 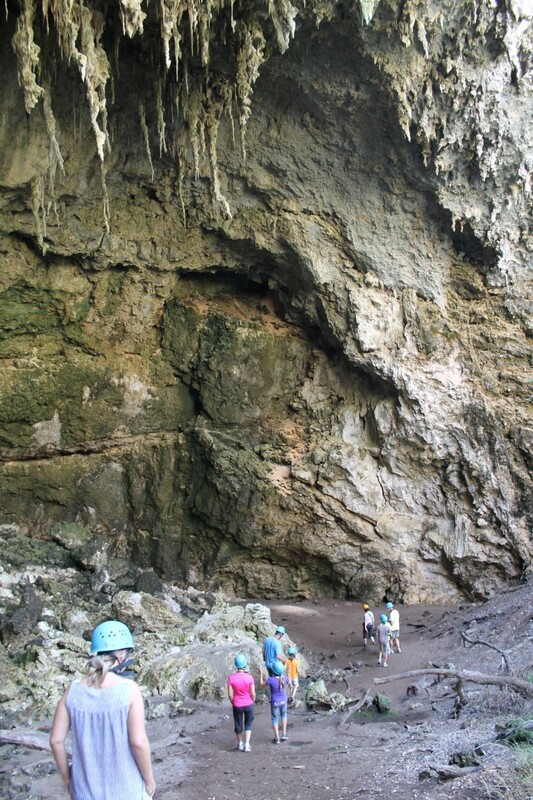 With minimal infrastructure, Giants Cave is left in almost its original form. 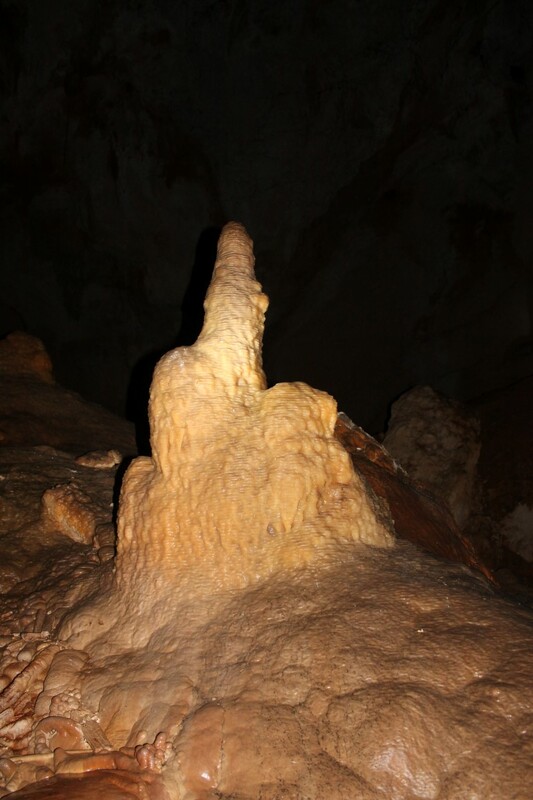 With the first visitors entering the cave in the 1900’s, it’s considered a fairly untouched cave in the Boranup Forest. 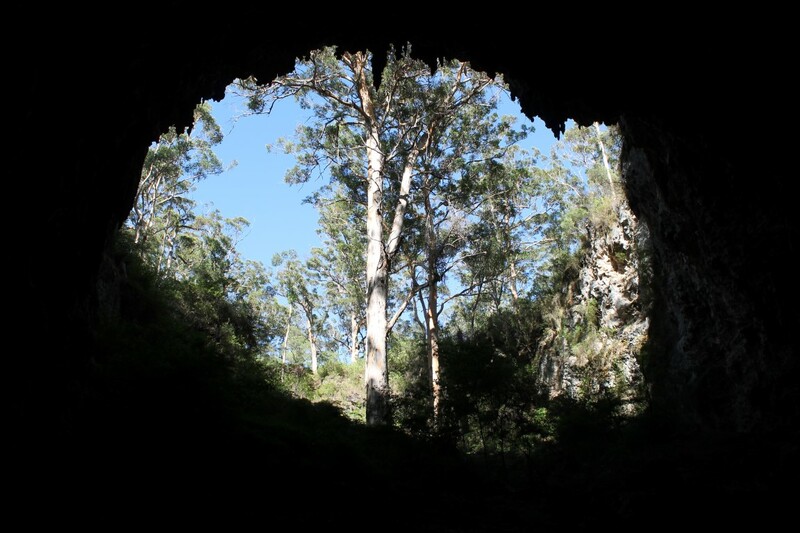 With Karri trees growing in the entrance of the cave and various tree roots hanging down from the ceiling inside of the cave, you feel as through you are exploring a mythical and magical place. The grander of the movie-like “Ball-room”, a large 70 meter chamber with a sand floor, makes you want to explore all the caves in the region to know what else is out there. 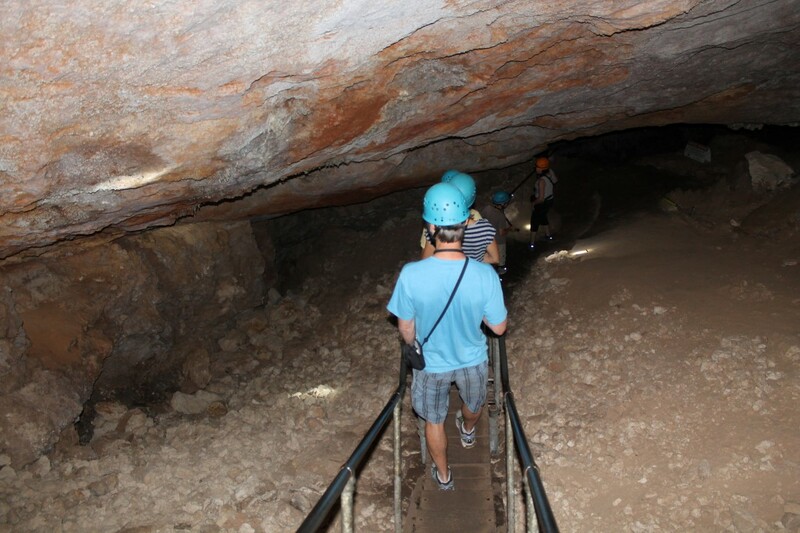 Mammoth Cave, Jewel Cave, Lake Cave, Ngilgi Cave, and Calgardup Cave are the other popular caves open to the public. If only I were an expert (and experienced) caver so that I could get a permit to explore some of the other few hundred caves. Maybe in another life? Visiting Margaret River was well worth the trip. 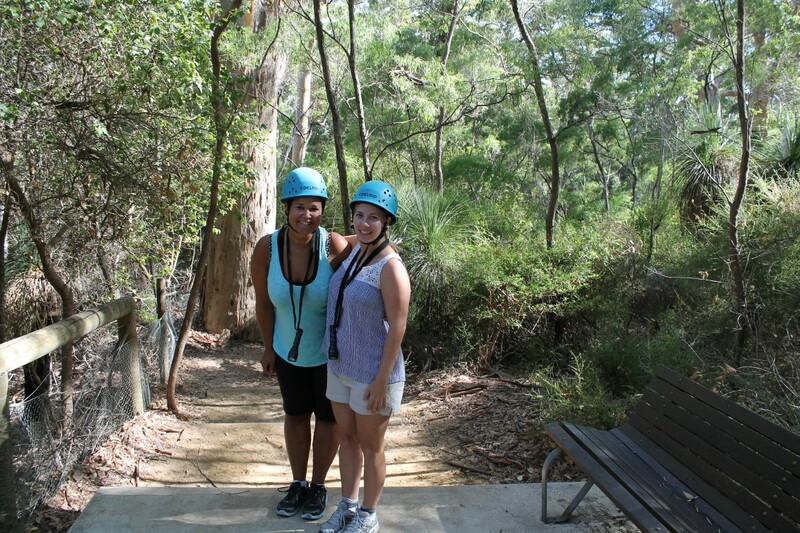 Margaret River has so much to offer from wineries, beaches, forests, caves, and exquisite food. The Mediterranean windy climate was unlike anything I’d experienced in Australia thus far. It’s no wonder why I was able to stay busy exploring Margs for 4 days without running out of things to do. There was no better way to get the heart pumping and my day started then by exploring Giant’s Cave; the workout made relaxing at the beach a well earned reward. This entry was posted in Australia, Bucket List, travel and tagged adventure, Australia, Bucket List, Caving, experiences, Giants Cave, Margaret River, Spelunking, Travel, travel photography, Turquoise Compass, Western Australia by Turquoise Compass. Bookmark the permalink. You should try caving sometime! Amazing – not sure I could handle but at least I get to do so through your eyes and words. Great! Like you said, at least you get to experience it through me. I pretty much say “yes!” to any experience. Glad you are along for the journey. What makes you say you don’t think you could handle it? My ligaments in my knee are badly damaged due to an old injury – I manage very well on the flat! Oh wow, that would explain in. Don’t worry, I will do the hiking for you. You can put the miles in on flat ground for me. I am sure I will be doing a bit of hiking in New Zealand. Stay tuned. Thanks – We toured NZ – loved South Island and Queenstown – you will have a blast. Safe travels. Awesome! Looking forward to it. I will be touring both Island, but definitely taking more time in the South Island and Queenstown. What a great adventure! Was it by chance that you met up with other Canadians or did you plan this out? I planned to meet up with one Canadian teacher who actually works at my school in Canada, but I had no idea she would connect me with so many others. I flew out to visit her, while also sight seeing in WA. Great question! I visited some amazing caves in Greece. My favourite is probably Melissani, you sail in a boat out onto a turquoise lake and there’s a huge hole in the cave roof above you where the sun shines down onto the water. Oh wow, I would love to see the caves in Greece someday myself. Oh don’t even start the sentence with turquoise; I am in! Sounds splendid. Have you written about it? Yes, please do, and make sure I don’t miss the post. Sounds magical.